MELOA project has been selected for funding by the European Commission to develop a family of multi-purpose, multi-sensor and extra light ocean drifters, suitable for use in oceanographic studies and other applications. It was one of the selected projects among 133 proposals under Horizon 2020’s Societal Challenge “Climate action, environment, resource efficiency and raw materials”. MELOA offers a solution to extend and improve current in situ ocean observing and monitoring systems, in the form of the WAVY drifter’s family of products. 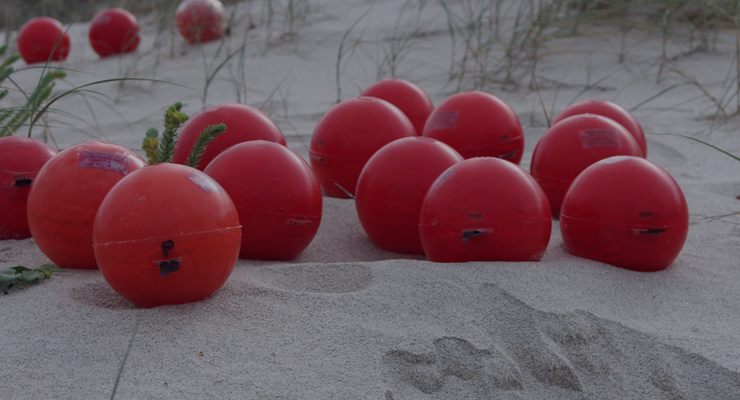 Designed to cover marine observation gaps, the devices will range from small drifters suitable for beach and surf zone studies, to somewhat larger drifters tailored for coastal and long-term open ocean observations. The low-cost, easy-to-handle and wave resilient surface drifters are a new generation of sustainable platforms easy to embed in different types of marine observation systems. The MELOA consortium is composed of 10 institutions in total, including European companies and institutions, active in many European and international projects. The consortium covers four European Countries: France, Ireland, Portugal and Spain. The Project Coordinator is DEIMOS Space and includes the participation of DEIMOS Engenharia, Instituto Hidrográfico, Instituto de Sistemas e Robótica, SmartBay Ireland, Oceanscan, Composite Solutions, Collect Localisation Satellites, Universitat Politèctica de Catalunya and INESC TEC. Running from December 2017 to February 2021, MELOA will address requirements of different stakeholders for marine in situ data, generate valuable data products and services, contribute to the implementation of Sustainable Development Goals 9, 13 and 14, and pave the way for the commercial spin-out of project outputs. To pursue this ambition, MELOA will actively engage with the wider marine community, through test and demonstration campaigns, open calls and participation in international events.